There is a whole lot to love about the Sony Xperia S: it has a gorgeous display, snappy camera, and a catchy design. (More on that in our Sony Xperia S Review.) However, it is not entirely free of glitches, as some users are now finding out. 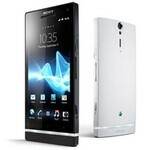 Sony Mobile Communications has identified that the display on a limited number of Xperia S smartphones may show a slight yellow tint if exposed to temperatures above 40 degrees Celsius. This is limited to a small number of units and the cause of this has been corrected. 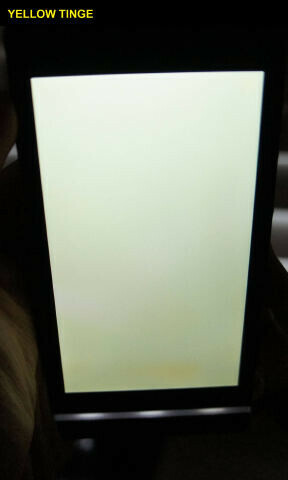 Any consumer observing this slight yellow tint on the display of their Xperia S is welcome to contact their local customer service centre and Sony Mobile Communications will resolve this at no cost to the consumer. So there you have it, folks! 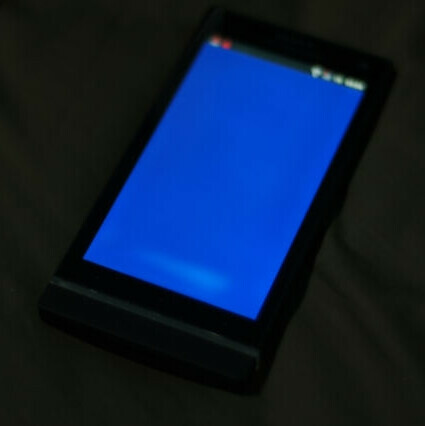 If the display on your Sony Xperia S does not look quite right, perhaps you can ask for a replacement. The images below will give you a clearer idea as to what the aforementioned yellow tint should look like. Does your Sony Xperia S look fine, or are you holding on to a flawed unit? Let us know by dropping a comment below. I have noticed it a little, doesn't really bother me to be honest. After a couple of weeks of having this phone mine has the defect I only noticed yesterday, after the display did get hot due to sunlight and hot battery, the yellow tinge is still visible now but is a lot more prominent when the screen gets warmer, for normal use it doesn't appear to affect the experience and is only visible on a white background (when on the internet or on Play Books I find) Ive heard O2 and other carriers are swapping any devices with the issue for a new one free, and might pop into O2 tomorrow and see what they say, will let you all know! I bought the phone 3 days ago (14th April) in INDIA. First 2 days I didn’t use the phone much, but the 3rd day when I used it rigorously, I accidently discovered it while using Flashlight (Android app where we have option of changing the color of screen). I am very disappointed now. Even though Sony has officially declared the replacement of display free of cost, in INDIA its tedious process. I need to visit the SONY store; they will make me visit the store for weekly by telling *We don’t know the issue yet. *It's not in India yet. *Some bull s**t reasons. And when they finally agree it’s their fault, they will make us wait for months by tellng *Sir Display stocks not yet arrived since its new phone *They will not provide the ETA *like politicians over here, they will just keep promising and postponing, but the things are never done. By experiencing all this, finally Xperia S owner will be fed up and he accept the yellow tint as if its no issue and starts using it. Only INDIAN's can understand this pain. I’m not aware of situations in other countries. Is there any way in I can directly contact SONY and get it replaced? Any suggestions/comments will me much appreciated. did u fix it yet? I have yellow tints on my Xperia S, can I just go to a normal Sony Center and ask a replacement there? Yeah, if you take it to your local Sony centre they will either repair it for you or replace it, in Sony's official statement about the issue they say they'll repair it for free, but don't mention about replacing it, i got mine replaced by my carrier instead, but yes I would suggest taking it to your local Sony dealer or contacting customer support, hope this helps! Cheers, that helped a lot, I contacted Sony Mobile customer support and they said that I need to send it it, but I would rather take it to a Sony dealer so I don't get ripped off. Hey I am from Pakistan and just noticed a strange yellow tint on my screen, what should I do? Any body? I bought it from a shop will Sony do anything about that? Hey guys i'm from Sri Lanka and i got my phone from Singapore one week ago. yesterday i noticed yellow tints on my display and i got confirmed it on a white background. so now i know that i am having the same issue. but not like the others, i am helpless because i got no bills or a warranty card. so how do i fix this in sri lanka. plz help me guys now i am struck with this thing. So you are telling me to go to Singapore? or to the person that i bought it from? will i get a replacement without a warranty?